Pro-Israel rally in Dublin, 25 Nov 2012.
during a rocket attack in Israel, Nov 2012. 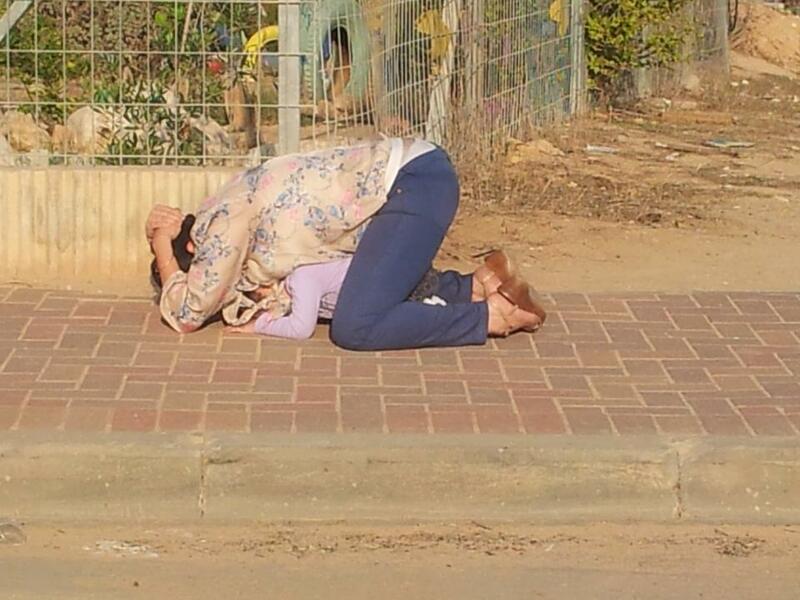 Israeli baby injured in Hamas rocket fire, 15 Nov 2012. This was no accident. Hamas, unlike Israel, deliberately targets civilians, and is proud of it. 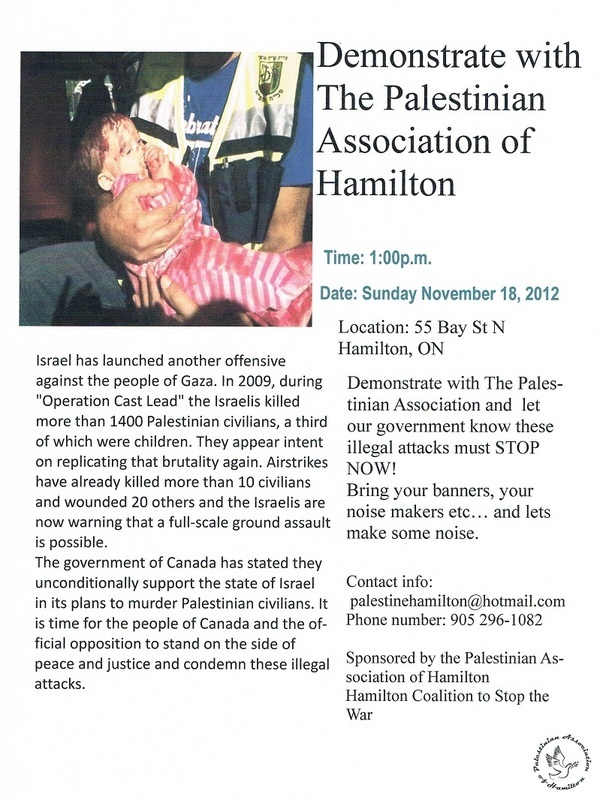 Anti-Israel idiots in Canada used this picture on a poster for a demo against Israel, not knowing it was an Israeli baby. U.S. election, 6 Nov 2012. Americans re-elect Jimmy Carter. Britain finally gets rid of Abu Hamza, 5 Oct 2012. A great day for British sovereignty. Every decent British person celebrates. The above is to the tune of Leaving on a Jet Plane: "the dawn is breakin' it's early morn; The taxi's waitin' he's blowin' his horn; Already I'm so lonesome I could die ... I'm leavin' on a jet plane; Don't know when I'll be back again; Oh baby, I hate to go ... "
Abu Hamza once said about being a Muslim living in Britain: "we have been forced to be inside a toilet ... and some of us think they can be leaders in that toilet". Of course no one "forced" this alien freak to live in the "toilet" of Britain. In reality, this offensive hypocrite forced Britain to let him live there long after every normal British person wanted him out. Kill those who incite violence ... in me! Kill those who say Islam is violent! I have a right to make death threats! All members of Joint Committee on Foreign Affairs and Trade support ban on goods from Israeli settlements, Sept 2012. They listened to submissions from the anti-Israel Christian group EAPPI. Shame, shame on Ireland. 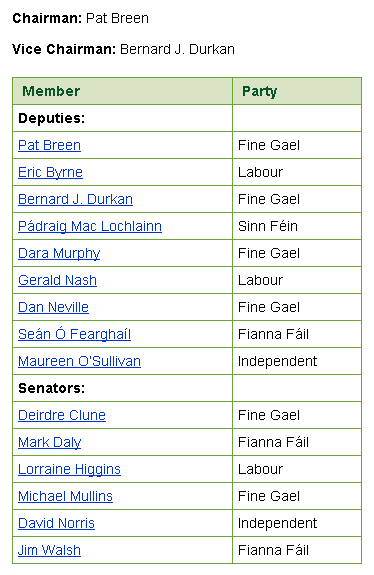 Membership of the Joint Committee as at Sept 2012. It includes the anti-Israel David Norris and Mark Daly. Only Jews are being boycotted. There is no boycott of goods from China, for example. 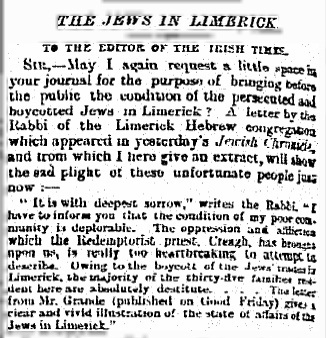 Would it be wrong to recall the boycott of the Jews of Limerick? Those people were pious and self-righteous too, and thought they were defending what is good. Image from Irish Times, April 13, 1904. The defining photo of the Obama presidency? 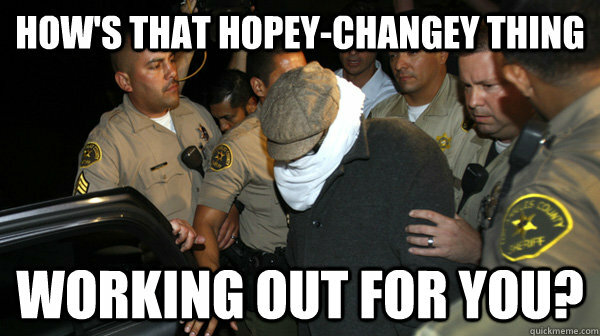 The maker of Innocence of Muslims is taken away at night to discuss parole violations. Yes, it seems he did violate parole. But the optics of this are really bad, and will travel round the Islamic world. The image this sends of America is terrible. Why not send police to guard his house, and the parole officer can visit for a chat in daytime. 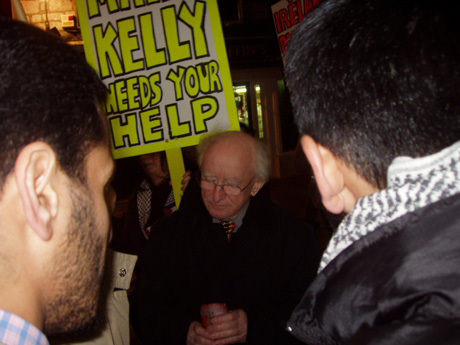 Michael D. Higgins at a candlelit vigil in 2004 mourning the death of the Jew-killing terrorist Yasser Arafat. I don't think this guy is in any position to be calling someone else a "wanker". 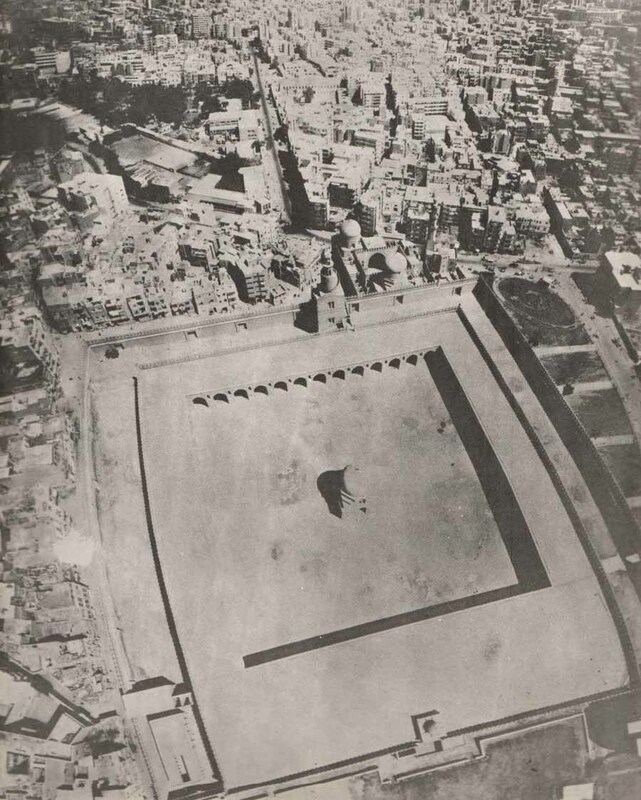 The Mosque of Ibn Tulun in Cairo, as viewed by Israeli pilots as they flew over Egypt unimpeded in the Six Day War in 1967, having destroyed the Egyptian air force in one morning. It looks like the idiot Egyptian people have voted for Israeli jets in their skies again. Rockets are fired at Israel, June 2012. No Palestinians protest against the firing of the rockets. Robert Spencer, June 16, 2012, asks the simple questions the left never asks: "you'll notice: while you hear "Palestinians" and their apologists often complaining that the Israelis won't make peace, you never see any peace movement among them, any protests against the jihadis, anyone going around putting flowers in their rocket launchers, or any of the grandstanding you see by Leftists in the West. Yet another point that the mainstream media and Western governments never ponder." Why do no Palestinians protest against Hamas and Fatah? If you understand why there is no Palestinian peace movement, then you will finally understand the Israel-Palestine conflict. 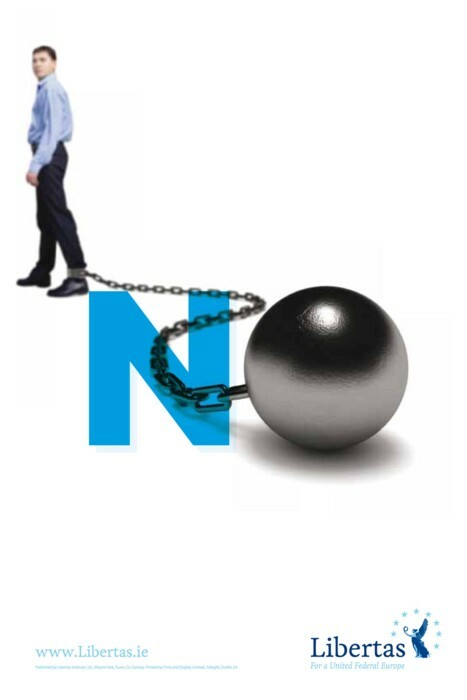 I followed Libertas in voting No. I blame the EU and monetary union for the Irish crisis. Joining the euro was clearly a mistake for Ireland. Indeed the euro looks like a mistake for the whole EU. And the Irish government made the taxpayer take on massive private debts to save the euro. But why save the euro? If the euro doesn't work, end it or leave it. If the EU doesn't work, end it or leave it. I have no emotional commitment to either. But none of the main Irish parties are Eurosceptic. Instead they are going the other way, signing us into an increasing EU fiscal union as well as EU monetary union. Is there no party that will put Ireland first? And yet they do not propose any ban on goods from China. In fact they fawn over the Chinese. Shame on them. And shame on Ireland if this goes through. The opposition FF and SFIRA are even worse. Is there no Irish party that will stand against this? Sign the petition against the boycott. Cenk Uygur of "The Young Turks"
London mayoral election 2012. Great to see Boris Johnson win again. I am a fan of Boris Johnson's London, the thriving capital of one of the greatest countries in the world. I don't like the narrow, hostile, alien London of the radical-left, anti-American, anti-Israel, pro-Islamist Ken Livingstone, friend of the IRA and promoter of the Islamic fascist Yusuf Al-Qaradawi. Ken Livingstone, Mar 2012, promised if elected to "educate" Londoners about the glory of the Islamic faith. He describes Mohammed�s teachings as: "an agenda for all humanity ... that is a creed for all of us". He threatens to spread Mohammed�s teachings to all Londoners: "I want to spend the next four years making sure that every non-Muslim in London knows and understands the words and the message of that sermon." He threatens: "to educate the mass of Londoners who have no understanding of Islam". Londoners are saved from this fate! The Communications Co-ordinator for Amnesty Ireland is a Sinn Feiner. For 25 years, the Middle East correspondent for the Irish Times was a Muslim. And they never told us. Our anti-American President Michael D. Higgins protested the visits to Ireland of elected U.S. Presidents Reagan and Bush in 1984 and 2004. But apparently the unelected Vice-President of China is fine. From Chinese state TV, 21 Feb 2012. 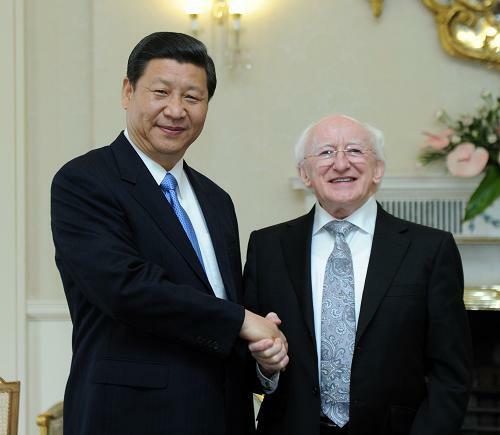 Fr Eugene O�Neill of Belfast nails Michael D. in a beautifully worded piece: "I .. found it interesting in the last few days to see the touching of the hem of the Chinese vice-premier by Michael D Higgins who I remember as a schoolboy was out protesting against Ronald Reagan. We know China�s human rights record � still the biggest executioner in the world, oppression of massive numbers of Christians, Falun Gong or anyone opposed to them � don�t we have values beyond the economy?" Classic!